A voice that sounds like one register: isn't this what most singers want? And how do you get that sound live, outside of all the engineering tools used in a studio? 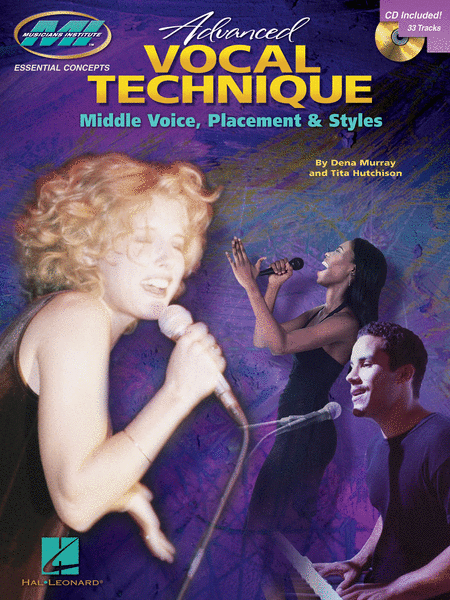 A follow-up to the author's highly successful Vocal Technique book & 2-CD set, Advanced Vocal Technique teaches the higher skills needed to bridge your voice and help you get the sound you desire in whichever style you choose. Includes: placement and air function; exercising the tongue and mouth; singing in the mask and bridging; use of the slide; strengthening your voice; all styles including jazz, country, R&B, pop, rock; and more. The included CD contains demonstrations, exercises, and full band demo tracks!